Can I get a decent cycling helmet for around IDR 300K (USD 20)? That was the question that popped in my head when I set out to buy a replacement—the previous one I had was comfortable, but after 5 years of use, it had crumbled into an ugly blob of black polystyrene on my head. 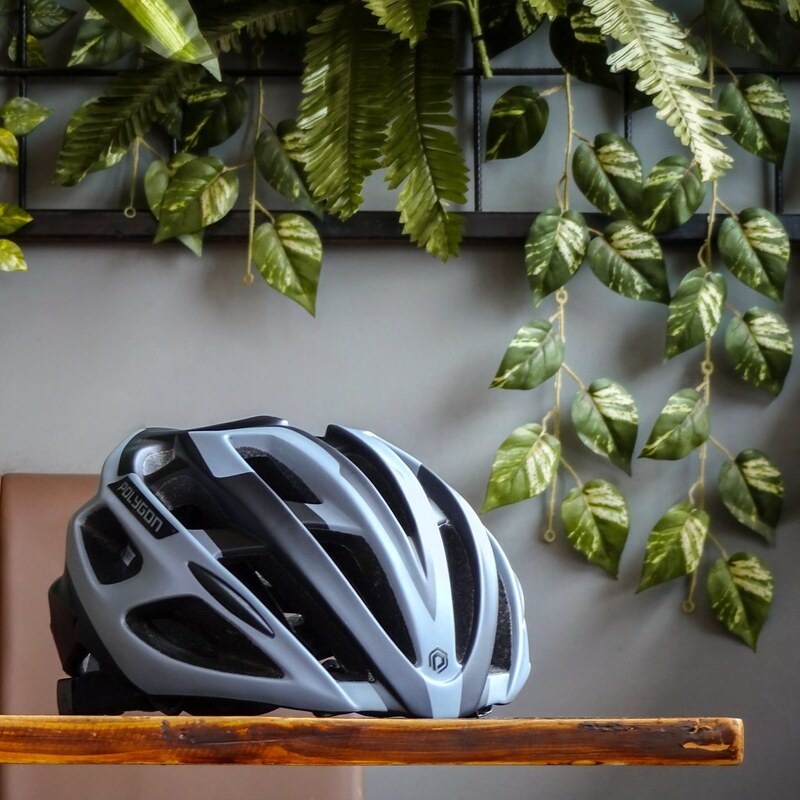 Apparently, the choice was limited to either cheap, garish multipurpose model, or famous brand’s Chinese knock-offs with doubtful quality; apparently, until I stumbled upon Polygon Speed, the road helmet from Indonesia’s most famous cycling company. Finding a proper cycling jersey in Indonesian market was tough. There were only two basic options available on the market: either you get yourself baggy MTB jersey full of texts, logos, and colors that practically turn you into a rolling dorky banner on two wheels, or you spend a fortune for sleek, stylish jersey from established brands. 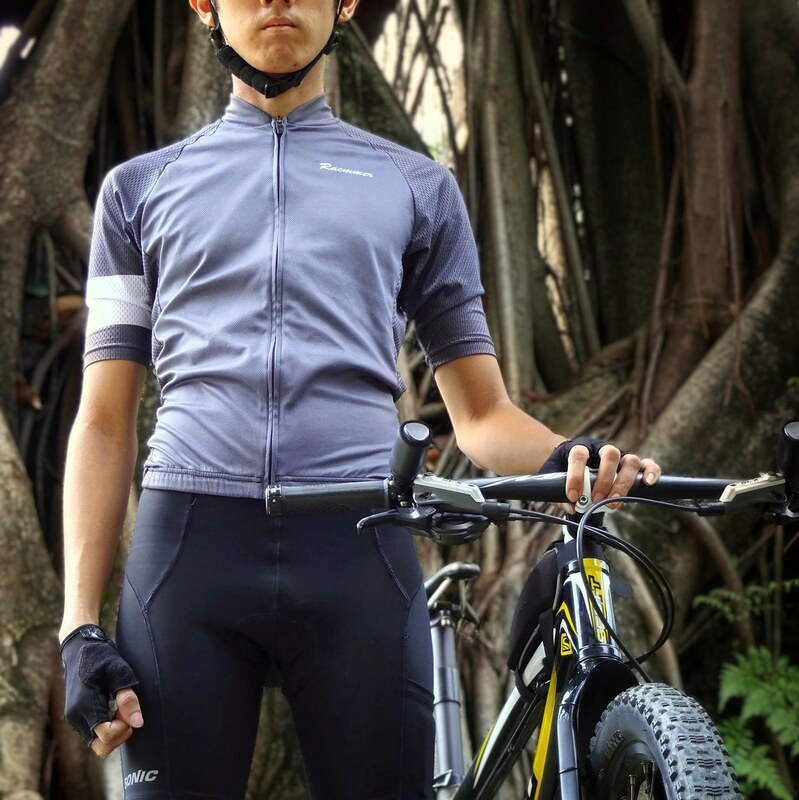 I was contemplating going on the third route—the full custom-printed jersey—when I stumbled upon Racmmer, a cycling apparel brand which offered the style and elegance of the established brand’s, for fraction of the price. As someone who rides all road, I preferred the comfort and freedom of tight-fit road short instead of the baggy MTB one, but also wanted pocket for extra space to carry things. Reading through the budding trend of gravel-specific clothing, I realized, I wasn’t alone. Yet even in developed worlds, road short with pockets is still a rarity. It was, therefore, surprising to find that in Indonesian market, one local brand—Singletrek—had been making such road short for a while. Just recently, my cycling mitts finally crumbled after years of hard use. 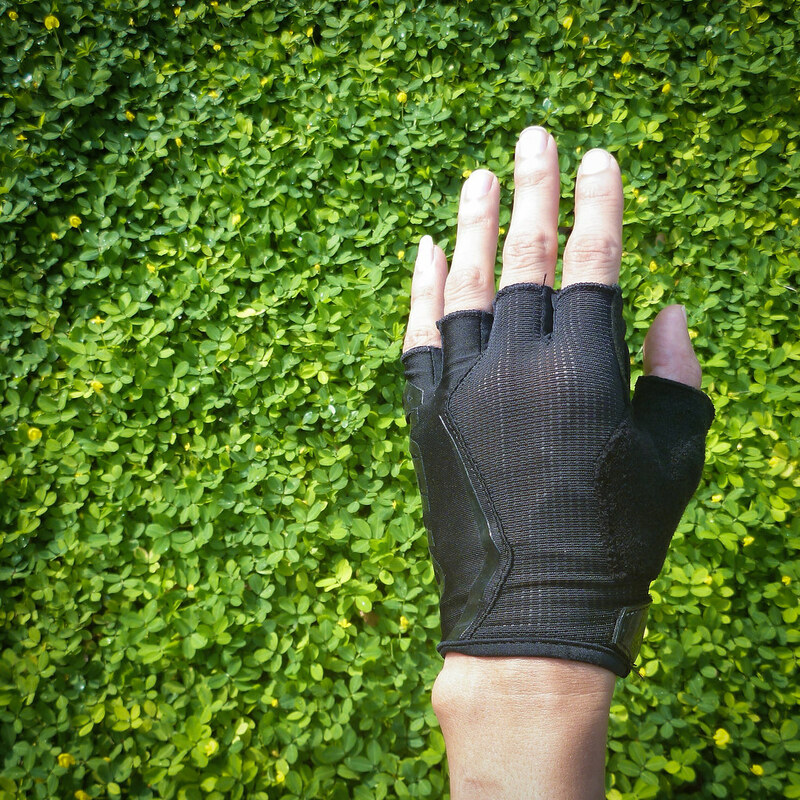 I was thinking about getting myself a simple Decathlon’s cycling mitts when I stumbled upon Avelio, a budding local cycling glove brand, currently running an aggressive online marketing campaign. I thought to myself, why not give them a go? Situated in the western border of Bandung, Rajamandala Karst Complex—often known as Citatah—is arguably the most unique geological feature of Bandung. Originated as the seabed of shallow, coral reef-rich water, the region was uplifted gradually by tectonic plate movement to form lands approximately twenty seven millions years ago, far older than any other volcanic-origin geological landmarks. Unfortunately, the natural beauty and scientific treasures it contained are under threat of destruction by limestone mining operation in the region. Exploring the area, therefore, is urgent. 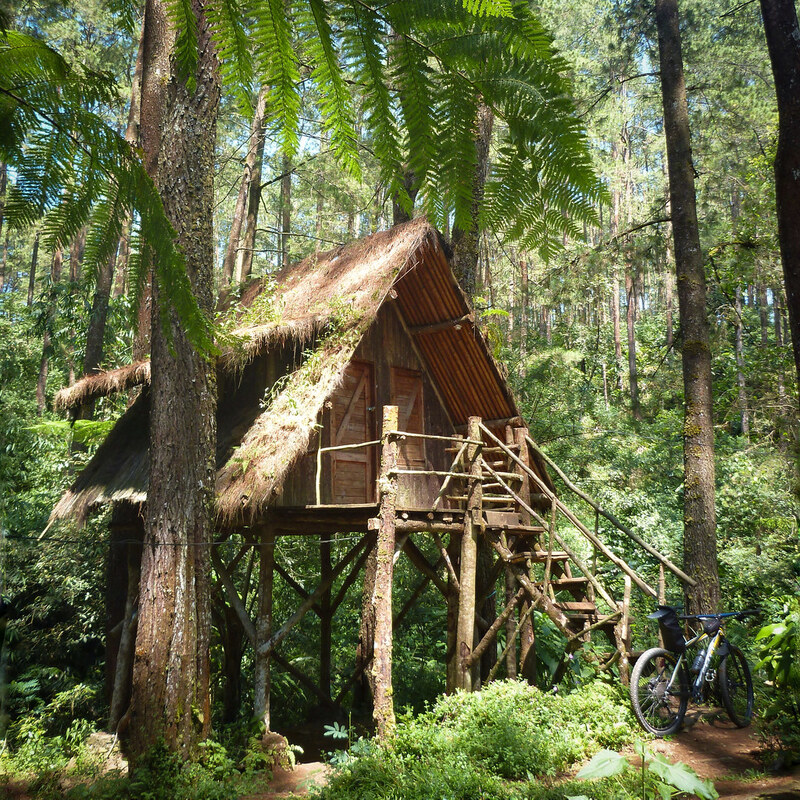 Located at 1,200 m above sea level deep in the heart of Kerenceng, Calancang, and Bujung mountains complex, on the east border of Bandung, Taman Buru Kareumbi-Masigit (Kareumbi-Masigit Hunting Park) might not share the hype or fame of other natural tourism destinations around Bandung. It is worth visiting, however, particularly for some serene time in the middle of the woods, away from bustling daily city life. 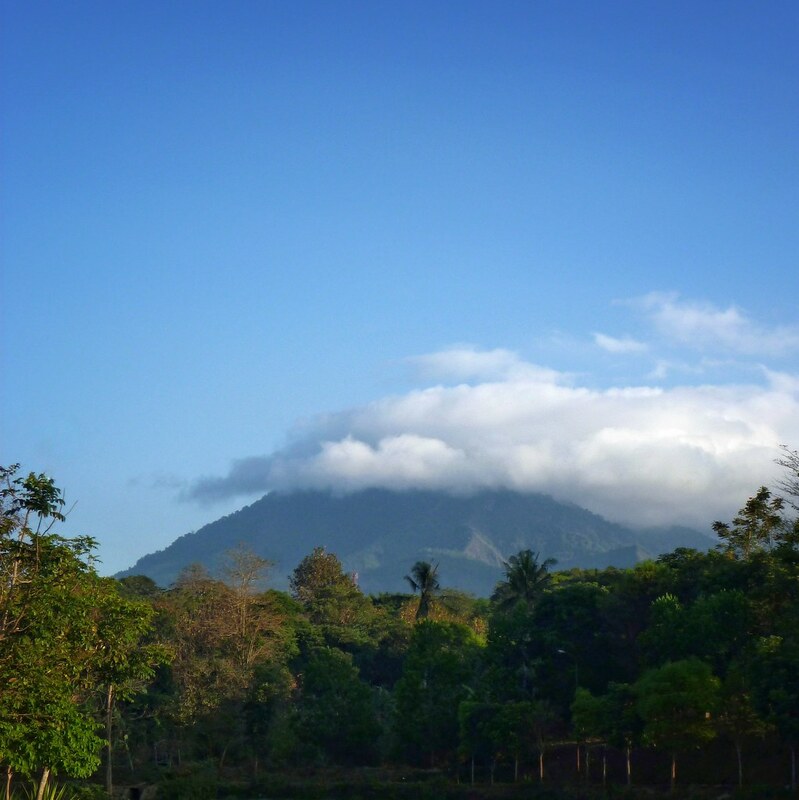 Originally used as an official hunting ground (hence the name “Taman Buru”), the acres of lush forest has long been declared as conservation area. 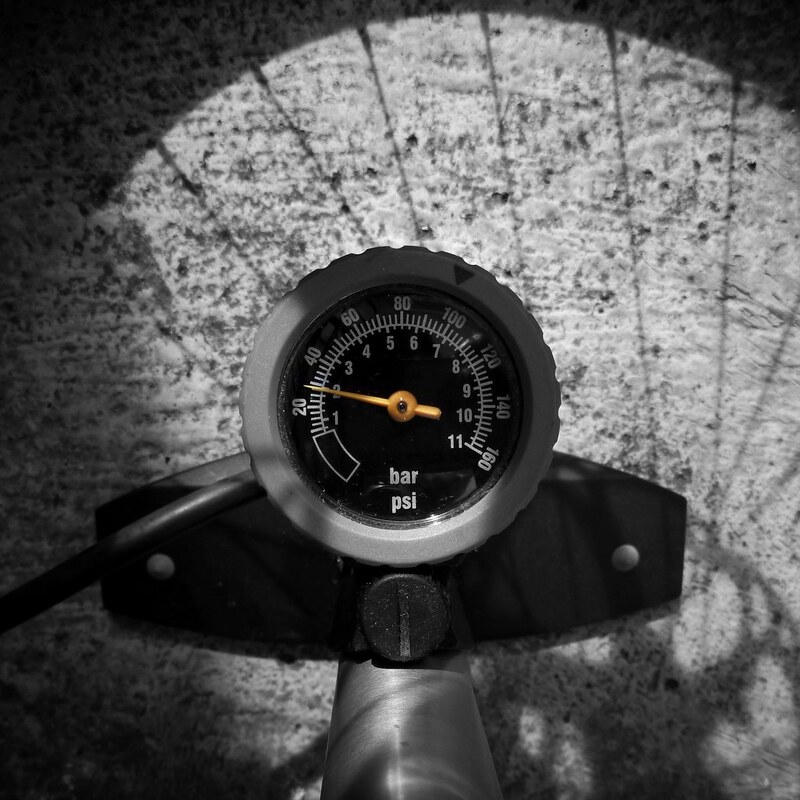 Getting the perfect tire pressure is, arguably, the cheapest way to improve the ride of a bicycle. It is, unfortunately, also the trickiest one to get right. Depending on who you ask, the answer can be conflicting. Ask road bike comrades, and they’ll most likely tell you to pump the tire as hard as a rock; ask mountain bikers and they’ll tell you to put low pressure that you better ditch the inner tube and convert to tubeless. Even worse, they’ll tell you vastly different numbers, all without any solid argument and calculation to back it up. Is there a way to determine the optimum tire pressure without resorting to rumors and wild guesses? 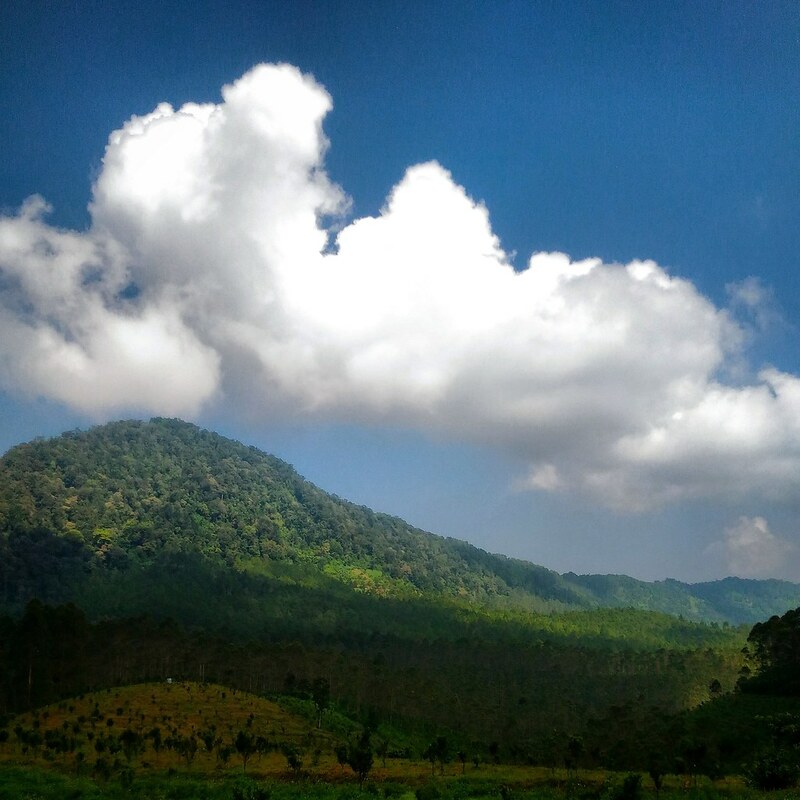 Standing 1,818 m above sea level, Manglayang is the least famous among Bandung’s northern mountains. Not only being the only one left out of the infamous Sangkuriang legend, it is also the least studied. Not much is known about the mountain, except the fact that it is an ancient stratovolcano, with unknown last eruption—perhaps a couple of millions of years ago, preceding the oldest human civilization that created the legend—that its crater is no longer visible, buried under the lush green forest. What size should my bicycle wheel be? If you’ve been following the trend in mountainbiking world, you would surely have heard the relentless, exhaustive mantra spelled by journos and brand spokepersons: “bigger is better”. They’re referring to 29 inches mountain bike tyres, which they claimed to be faster than smaller wheels. If it’s true that bigger is better, however, why don’t we all ride 36-inches monstrous wheels? And why don’t automobile and motorcycle industry adopt the same philosophy? They were quick to point out the strengths of bigger wheels… is there something they didn’t tell us? 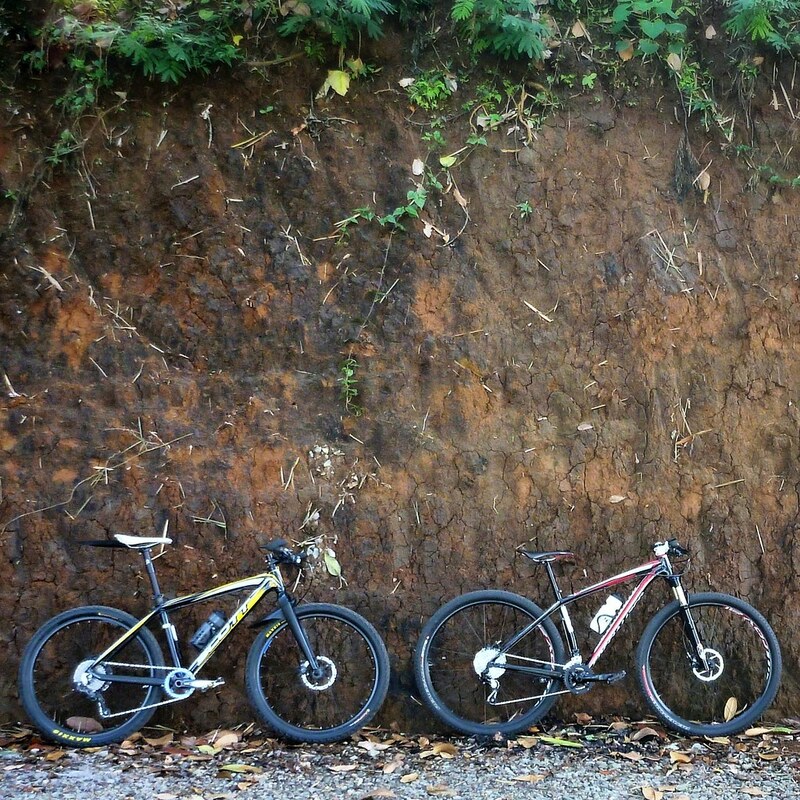 Compared to the south side counterpart, the cycling exploration to Lembang Fault’s north side was more challenging. It is significantly longer, because it is further to the north from the city, and it allows end-to-end 29 km exploration, from east to the west. It also features two valleys, which contributes to added climbing sections along the road. However, it also rewarded me with clear view of the fault, stretching from Mount Palasari in east end all the way to the west. 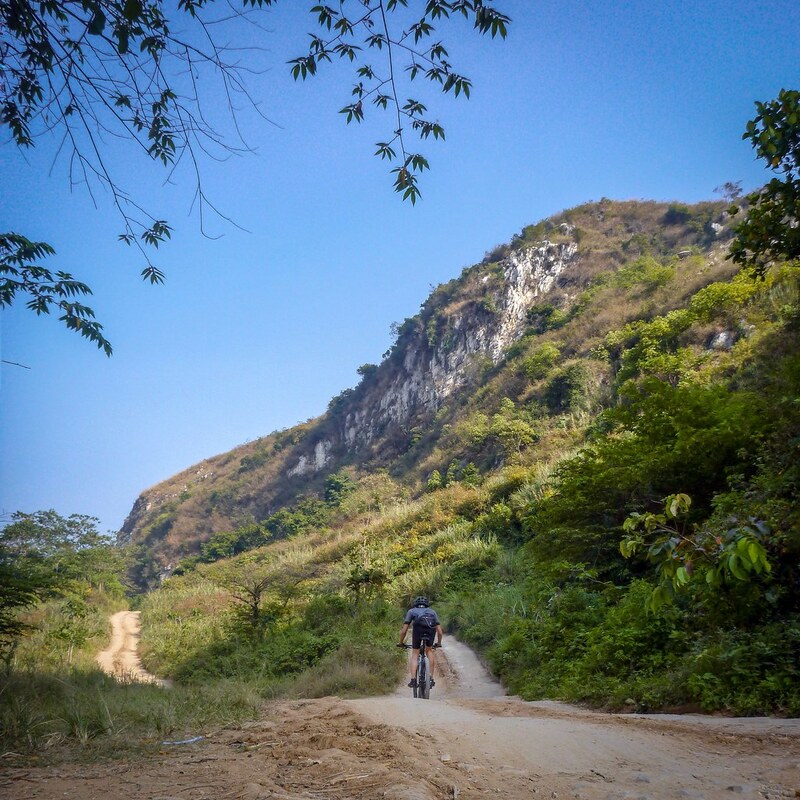 Pedalling // Coasting is a cycling blog of Rizal Affif. Sign up for free newsletter.